In Parts I and 2 of our series on successful global customer relationships, we’ve talked about the need to ensure buyers have a firm grasp of your story while communicating that you have an in-depth understanding of theirs. We’ve also talked about how thriving in a global market means attaining fluency in your customers’ native languages and cultural nuances – and how automation strategies can help your brand become more cross-culturally articulate. But let’s face it, there are all kinds of sales and marketing strategies out there. You might be wondering if these particular ones can really produce noticeably better outcomes. So today let’s look at a case study to see how they play out in practice. Airplane manufacturing company Beechcraft is a great example of the difference these tactics and automation efforts can make in customer relationships. A historic company with international reach, Beechcraft has been building and servicing aircraft since 1932, and now operates more than 90 service centers worldwide. Serious about accelerating its lead generation, the company recognized the potential for marketing automation ROI before it became the industry standard and dove in. 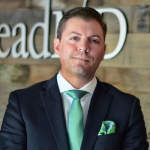 Because the process was a radical transformation for Beechcraft, they partnered with LeadMD while implementing the Marketo platform. The company’s vision for automation involved generating a high level of engagement with its widely dispersed customers. However, a complex web of stakeholders and processes made the localization tactics they envisioned challenging to execute. To strengthen marketing campaigns aimed at their international client base, Beechcraft’s team knew they needed to accelerate their processes for localizing content—so they evolved their automation strategy to encompass Cloudwords. The content globalization platform integrated seamlessly with Marketo and made Beechcraft’s visions of efficiency a reality, freeing marketers to create ways to drive global demand for Beechcraft’s products. Cloudwords also enabled them to employ previously impossible tactics, like A/B testing of localized campaigns. Emails, landing pages, and all other Marketo content could now be localized in the right templates through a process as simple as one click. The results? Previously dependent on manual systems to track leads, Beechcraft’s lead generation productivity skyrocketed with the automated system. Today marketers at Beechcraft roll out their campaigns in the native language of customers and prospects in a matter of minutes rather than days and weeks. As a result, they launch company messaging more frequently and in more languages. The company’s success rates for email campaigns have also enjoyed significant growth. With increased insight into analytics like open rates and click-through data, Beechcraft has expanded its understanding of what drives customers in different markets to respond, helping its marketing teams enhance the power of the company’s promotional material. Beechcraft’s experience offers a few lessons applicable to any brand looking to amplify its impact on both domestic and global customers. Embrace the unconventional. As in any business endeavor, a willingness to take innovative risks sets your brand apart. While the general industry mindset hesitated to adopt marketing automation tactics, Beechcraft embraced the somewhat countercultural approach, departing from traditional marketing methods to extend its influence – including automation of its marketing globalization. Make data work for you. Tracking analytics about your customer base will shape your approach and empower you to speak to them in a more nuanced, individualized way. Efficient asset management systems help your teams study and apply raw information so your campaigns can utilize the languages and channels most relevant to their needs. The result: deeper engagement, stronger response. Ask for help when it comes to your platform’s functionality. Systems are as good as the people using them. A critical element in Beechcraft’s automation platform implementation was the support of a good coach who guided its sales teams through the integration process. Make sure your team is educated on tactics and techniques for partnering your marketing strategy with your platform. Maximizing the synergy between technology and strategy is the secret to watching your brand leapfrog over its competition. And that’s the end of our 3-part series on global marketing and sales. We hope we’ve given you some food for thought, along with some practices you can start using today. Remember, customers are the same all over the world; they want to feel valued and listened to, and they want to do business with companies who understand their needs. Deliver that personalized touch and you’ll inspire a long-term loyalty that benefits everyone. Chkout http://www.BillionairesBrain.com, this is a dream product for entrepreneurs… . The ultimate weapon for the self-taught entrepreneur.